Do we need the Grocery Regulations? Aren't these a way of mollycoddling suppliers at consumers' expense? The UK Groceries Code Adjudicator lambasted Tesco's treatment of its suppliers in a report published last week. The publication of the UK report seems to have finally bestirred Minister for Jobs, Enterprise and Innovation Richard Bruton, with his department stating that Mr Bruton will be signing the Irish Grocery Goods Regulations, which have lain unsigned for the past 11 months, some time next week. Christine Tacon, the UK Groceries Code Adjudicator, didn't pull her punches. In her report, she found that Tesco, the UK's largest grocery retailer, had breached the Groceries Code on numerous occasions. While the report didn't find any evidence that Tesco had sought payments from suppliers for more or better shelf space in its supermarkets, it did unearth practices which may have constituted an "indirect requirement" for suppliers to make such payments. But Ms Macon's report dealt with Tesco's activities in the UK. Surely nothing like that could happen in this country? Last week's report has its origins in Tesco's September 2014 announcement that it had over-stated its previous profits by £250m. According to Tesco, the overstatement was largely caused by it incorrectly booking £145m it had received from suppliers to pay for promotions and other services as profit. Then in April 2015, Tesco revealed that it had increased the profit adjustment by a further £63m. When questioned about the matter at the time, a Tesco spokesperson stated that: "The additional amount related to income in the Irish business". As a proportion of sales the profit adjustment caused by Tesco's treatment of payments from its suppliers was 0.33pc in the UK but 3.1pc in Ireland. This indicates that Tesco's, and the other supermarkets' treatment of their suppliers, is a much bigger problem in Ireland than it is in the UK. The relationship between the supermarkets and their suppliers is a profoundly unequal one. Tesco, the biggest retailer in Ireland and the UK has an annual turnover of £70bn (€92bn). That is 11 times the combined sales of Ireland's two largest indigenous food companies, Kerry and Glanbia. Only the very biggest suppliers such as Nestle, Procter & Gamble, Unilever and Coca-Cola, which own powerful, must-have brands such as Nescafe, Gillette, Hellman's or the eponymous soft drink can deal with the big multiples on anything like level terms. For most other suppliers, the only choice is usually one of either take it or leave it. Concerns about the possible abuse by the supermarkets of their dominant position led to the establishment of the Groceries Code in the UK and the appointment of Ms Macon as Code Adjudicator in 2013. As we now know, the problem is almost certainly even greater in this country; so why hasn't a similar watchdog been established in Ireland to monitor possible abuses? 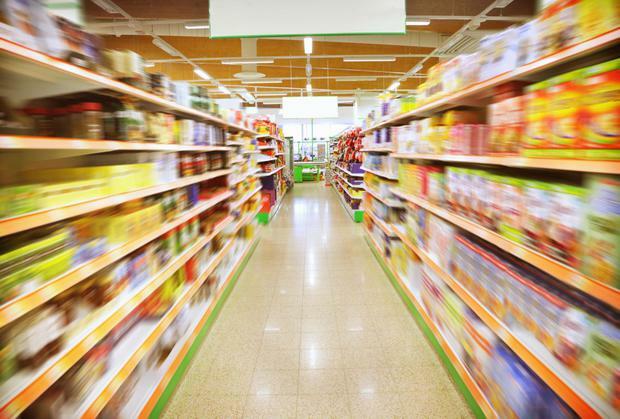 IBEC offshoot Food and Drink Industry Ireland, which represents supermarket suppliers, has long campaigned for the establishment of a body to monitor the Irish supermarkets' dealings with their suppliers. "Things that the UK Grocery Adjudicator found in her report are common practice here", says Food and Drink Industry Ireland director Paul Kelly. "We hear about them from large, small and medium companies". However, it is the smaller suppliers who are most vulnerable to supermarket pressure. "Smaller producers have less bargaining power," says Mr Kelly. Under pressure from suppliers, the farmer organisations and Food and Drink Industry Ireland and with the UK Grocery Code already up and running, Mr Bruton published draft Grocery Goods Regulations in December 2014. The draft Grocery Goods Regulations seek to impose certain minimum standards on the supermarkets in their dealings with their suppliers. The Grocery Goods Regulations (see illustration) stipulate that: the supermarkets must deal in good faith with their suppliers, contracts between supermarkets and suppliers must be in writing, records must be retained for inspection, as well as restricting supermarkets unilaterally changing the terms of their contracts with suppliers and payments by suppliers to supermarkets for promotions and favourable shelf space. The publication of the draft regulations followed the enactment of the 2014 Competition and Consumer Protection Act, which not only provided for the Grocery Goods Regulations but also imposed stiff penalties for breaches of the those regulations with fines of up €60,000 and 18 months in jail for a first offence and €100,000 and two years' imprisonment for subsequent offence. There was a two-month consultation period after the publication of the draft regulations. The consultation period expired on February 27, 2015 and since then, 11 months ago, absolutely nothing has happened. Now the Department of Jobs, Enterprise and Innovation has told this newspaper that the regulations will be signed this week. But do we need the Grocery Regulations? Aren't these a way of mollycoddling suppliers at consumers' expense? Aren't the regulations a resurrection of the pre-2006 Groceries Order, which banned below-cost selling by supermarkets, in another guise? Won't the impact of the regulations be to push up the prices shoppers pay at the supermarket checkout? Not according to Mr Kelly. "The regulations deal with the commercial relationship between the retailer and supplier. They do not deal with price", says Mr Kelly. "This is very much about trading protection. We hear regularly about payments to suppliers running 100 days in excess of the agreed terms". Deviation by supermarkets from the agreed payment terms hits the supplier's cash flow, which imposes additional costs on the supplier, as they have to borrow from their bank to fund the extra working capital. This in turn pushes up costs that ultimately have to be borne by the consumer, says Mr Kelly. What is certainly true is that the retailing environment is now vastly different from what it was when the ban on below-cost selling was lifted a decade ago. German discounters Aldi and Lidl now have a combined market share of 16pc and the old weekly or fortnightly "big shop" has been largely been superseded by "little and often", with consumers popping into their local supermarket or discounter every few days. The discounters have also undermined the traditional loyalty of consumers to one or other of the traditional supermarkets with most shoppers now being far more promiscuous in their choice of outlet. Despite the dramatic effect they have had on the grocery market, most suppliers have a grudging respect for the discounters. While they drive a hard bargain with their suppliers they then stick to it. "Tough but fair", was how one supplier described its relationship with Aldi and Lidl. Those are not the words many suppliers would use to describe their relationship with some of the other supermarket groups. When one seeks to speak to many suppliers about their relationship with the supermarkets, even on a non-attributable basis, the response is often one of genuine fear. In many cases, the relationship between supermarket and supplier is deeply dysfunctional. Will the Grocery Regulations, even if accompanied by potentially severe penalties, change this situation? So what do the supermarkets think about the Grocery Goods Regulations? Unfortunately, they aren't saying. When contacted, both Tesco and Musgrave, which owns the SuperValu and Centra grocery franchises, declined to comment, preferring to wait until the final regulations are published this week. Only time will tell if the Grocery Regulations help to level the playing field between the supermarkets and their suppliers or turn out to be just another box-ticking exercise.